What questions do you ask in one on ones with your managers? It’s critical you make the most of your time meeting with them. Unfortunately, many leaders make the mistake of not checking in regularly with those on their team that are managers. That’s a huge mistake. Just because someone was promoted does not mean you can give them less support. In fact, they need more help and guidance from you. When you abandon your people right when their Task Relevant Maturity is at its lowest, you crush their morale, and hurt they and their team’s ability to succeed. You can do better. The best way to help your managers is to keep your regular one on ones with them. The questions to ask in one on ones with them may change, but the importance of the meetings does not. If anything, one on ones becomes more important. You and your managers’ time is precious. Don’t waste your one on ones with them on small talk, or status updates. These questions to ask in one on ones can help you get to the root of key issues that can have an out-sized impact for your managers and their teams. One on ones are all about your people, and building a strong, trusting relationship with them. Asking questions like the ones below, and following through on what you talk about, will build a strong, supportive relationship with each of your managers. Being a multiplier (or in your case exponential) is a key mindset to have as a leader; you have the ability to improve the performance of everyone you manage. Your managers have the same potential. These questions to ask in one on ones with them will help explore the multiplier mindset with them. 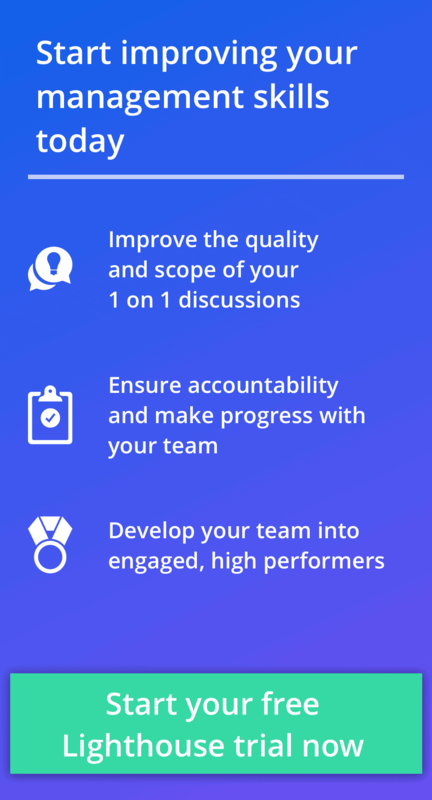 1) What’s one thing we could do for you to help improve the performance of your team? 2) What’s the biggest thing preventing your team from getting more done, or done better? 3) How much time do you spend in meetings? Are there any you don’t feel you need to attend? 5) If we had budget to get you any one thing for you to make you better at your job, what would you want? 6) If we had budget for any one thing for your team to be more effective, what would you want? 7) Am a available to support you when you need it? Why do you say that? These questions can help a manager think about how they can have a multiplier effect on their team, and how you may be help them accomplish that goal. You may be surprised what a few small changes can do to improve things for the manager and their team. Questions to ask How things are going with their team? Unfortunately, work isn’t all sunshine and rainbows. There are conflicts. People can burn out. Valued staff can become bored. Turnover can spike, or morale can plummet after an unpopular decision. These are all issues a manager must learn to deal with, and may want your advice on handling. Even better, they often can use your help in catching, and fixing, such problems before they become too big and devastating. 8) Who do you think is at risk of leaving the company? How could we save them? 9) Who are your top performers? Why them? 10) Do you feel everyone on your team is properly compensated based on their performance? 11) Who on your team is struggling right now? What tactics are you using to help them? 12) What’s the best idea or suggestion you’ve heard from your team lately? 13) How do you solicit ideas and feedback from your team? How often? 14) What’s one thing we should stop doing? 15) What’s a recent situation where you’d like my advice on how to handle it now or next time? 16) How did you think [situation] went? How could we improve that together? Fixing problems when they’re small is one of the best ways to keep your managers out of reactivate management mode (aka- Fire fighting). By asking these questions, you make it clear they can safely discuss issues with you before they’re massive problems. With changing teams, and new goals, comes new challenges. What was the right mix of resources and support may not work now. The best way to find out is to ask. 17) What’s one thing I could do to better support you? 18) What’s the biggest bottleneck or blockers that affects you and your team doing their jobs well? 19) What would you change if you had my job? Why that? 20) What do you want to know about my job? 21) What would you do to help the person replacing you if you had my job? 22) Is there anything in my job you feel you don’t know that you should? Self awareness is hard. It’s not always clear how much your managers understand about what you do. Having an honest discussion about what they don’t know about your job, and how you can better support them, can go a long way towards dispelling any myths, and strengthening your working relationship. As things change at work, this can become a moving target. Consider revisiting these questions semi-regularly to see how what they need evolves. Want more questions like this right at your finger tips while you’re having a 1 on 1? 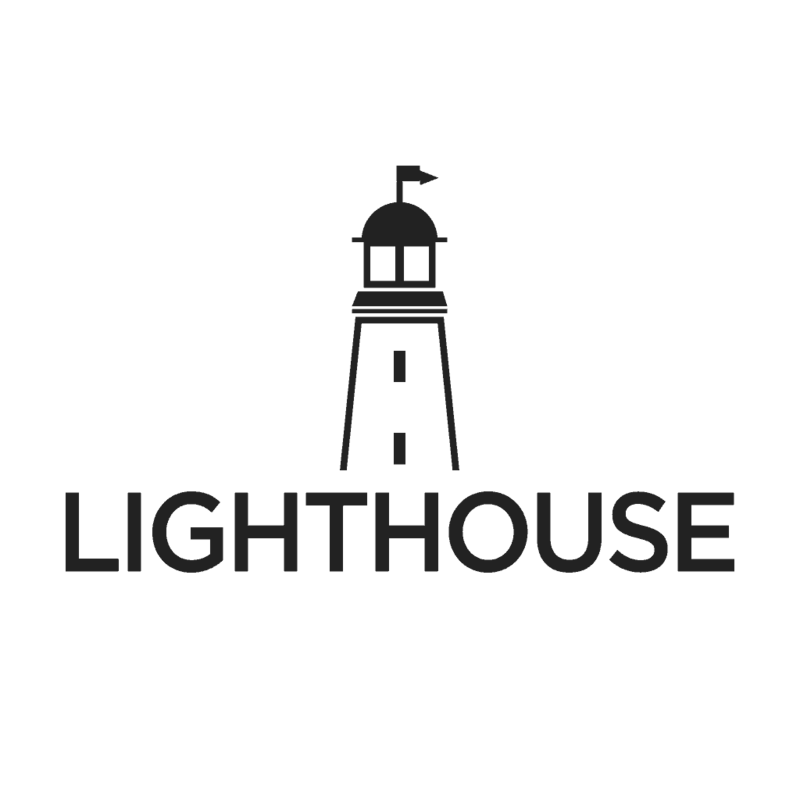 Then sign up for a free trial of Lighthouse and keep all your 1 on 1s organized and covering the right topics. Questions to ask How they’re feeling? After initial excitement fades from a promotion, the real work begins. This isn’t always easy for people, especially if they’re new to management. Asking a few questions about how they’re really feeling can be a huge relief for them. 23) How is managing your team going for you? 24) How is you / your team’s workload? Too little, too much, or the right amount? 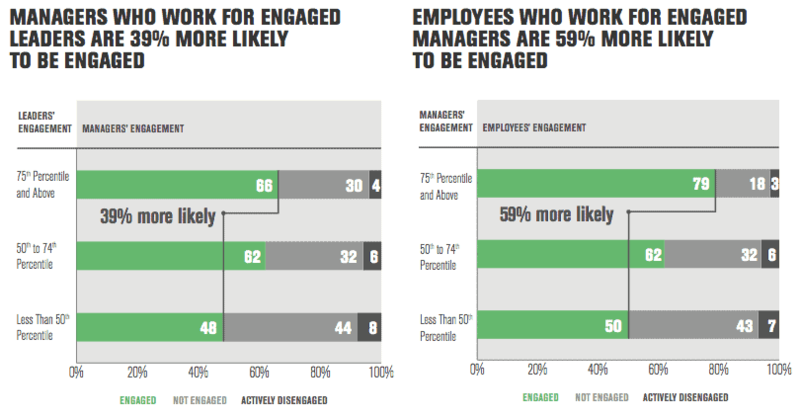 25) How do you feel about your balance between doing individual work vs. managing? Do you feel like you’re doing too much or too little of either? 26) What is your favorite part about being a manager? Why that? 27) What is your least favorite part about being a manager? How do you handle that? 28) What do you want to do next in your career? How can I help you get there? 29) Are you happy in this role? What could make it better for you? 30) If you could go back to your old job, would you want to? Why? 31) How do you feel your work/life balance is? What would you want to change, if anything? Sometimes the simplest questions are the most powerful. Making sure your managers are happy in their roles is a great way to ensure their teams are happy too. No one benefits from working for someone who doesn’t like their job. It’s also why companies like Netflix make it safe for managers to return to individual contributor work if they decide they don’t like managing anymore. People leave managers not companies. A few key habits like regular one on ones, helping grow their people, and showing they care, can make all the difference in morale, motivation, and turnover. 32) How often are you having one on ones? Does that feel like the right frequency for everyone? 33) What has come up in your one on ones lately that I should know about, or you’d like help with? 34) When was the last time you praised each of your team members? 35) Anyone need performance improvement? Why? 36) Who is close or ready for promotion? For what roles? 37) Who are the best people on your team? What are they doing well? 38) How can we help your best people be more successful? 39) If you had to promote someone to [role x] who would you recommend and why? 40) Do you feel [team member x] is ready to advance? How can we work together to help them grow? Identifying stars is a great way to ensure good people stick around. By supporting them and showing a path before you need them in a new role ensures they don’t look for growth outside your company. Meanwhile, helping with underperforming or problem team members can be a relief for a manager’s entire team. Not all change is popular. And even for changes that are welcomed, buy in and long term success is no accident. These questions can help navigate the broad objections and implementation issues from the front lines so they trickle up to leaders like you. 41) What do you and your team think of the recent changes? 42) What tweaks would you make to [change x] to help you and your team? 43) What are you and you team’s biggest concerns about [change y]? 44) I’m thinking about making [change z], how long would it take to privately solicit feedback from your team on it? While ideally you’ll get some feedback on changes before a public announcement, that’s not always possible. By checking in whenever you can about a change, you demonstrate you are listening, and care about what they think. This can be especially valued, and increase buy in for you as a leader, if you make adjustments based on valid feedback from the manager and their team. This line of questions can also then provide you a forum to explain to your manager why a decision was made. Just as important as a manager’s relationship with their team is their relationship with you, their leader. It’s easy for someone like you a few layers up to become buried in work and demands. Asking questions like these can help identify problems and opportunities for you and your managers to work better together. 45) Do you find it easy to communicate with me? 46) What’s one thing I could do to make things easier for you and your team to keep me informed? 47) What do I just not understand about you or your team that if I did, things would be better? 48) How often do you think is the right frequency for us to get on the same page? 50) What do you think is fair for me to expect from you? 51) What do you think is fair for you to expect from me? These questions on managing up can open a very healthy dialogue. Once you’ve heard their perspective, they’re more likely to listen to and appreciate yours, and you can find the common ground needed to work better together. By creating clear expectations and opening safe communication in your one on ones, you will help your managers be more successful in their role and in working with you. As a company grows, communication becomes more difficult. By investing in one on ones and asking the right questions, you can combat these challenges and ensure you focus your time on the highest impact areas to help your managers. These 51 questions to ask in one on ones are a great place for you to start. We’d love to hear your suggestions for additions to the list in the comments below. 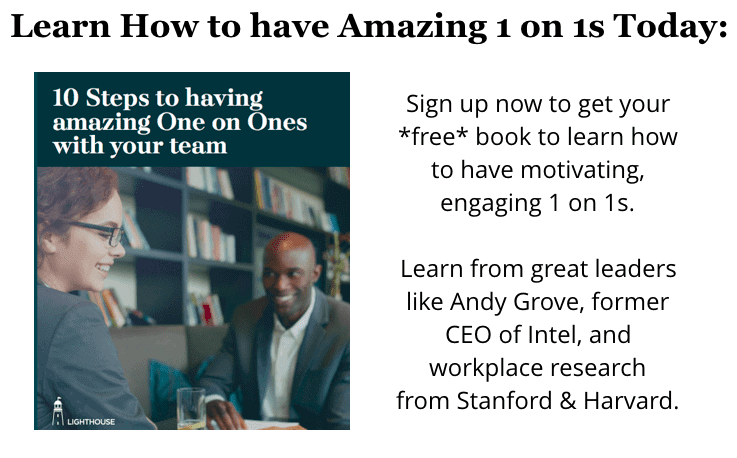 Want you & your managers to make the most of your one on ones with your teams? Then sign up for a free trial of Lighthouse. It’s software purpose-built for leaders like you to make the most of the time you invest in your people. Stay organized, keep your promises, and have easy access to questions to ask in your one on ones like these all in Lighthouse.